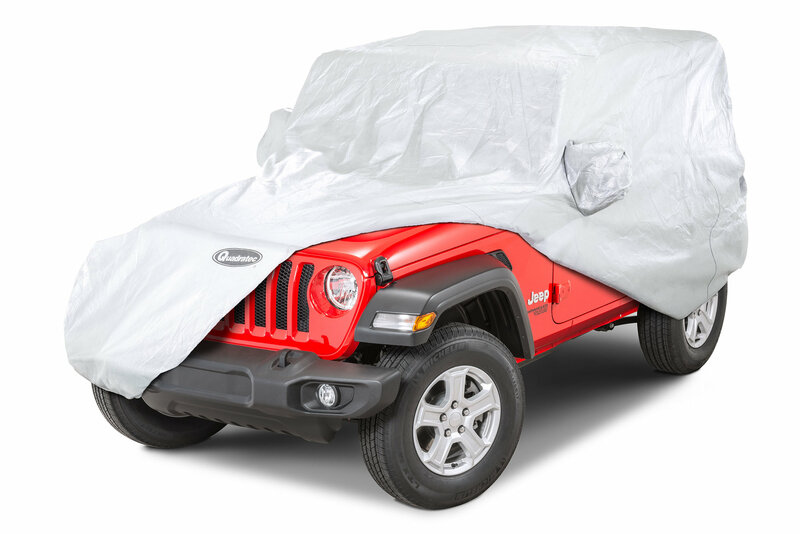 Our best 5 Layer Softbond Silver Covers for 2-Door Jeep Wrangler JL feature a reflective UV resistant outer coating with combined strength, breathability and hi-tech water proof protection at an exceptional value. 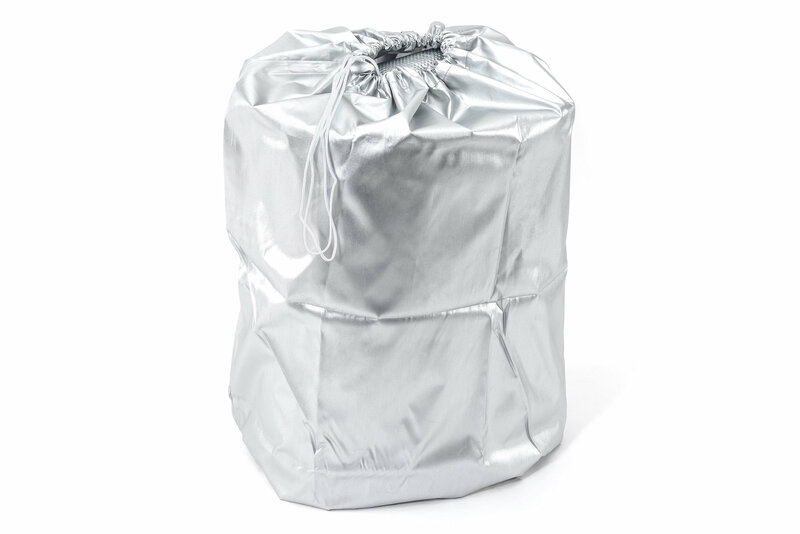 Engineered to keep out liquid moisture and UV rays without trapping condensation while providing protection to paint finishes, soft tops and upholstery. Quadratec’s Softbond UV Silver Covers combine the durability of our current 5-layer covers with a high-tech UV resistant silver outer layer that helps keep vehicles cooler and drier. The middle water resistant film layer and a supplemental outer polypropylene layer provide extra water proofing. 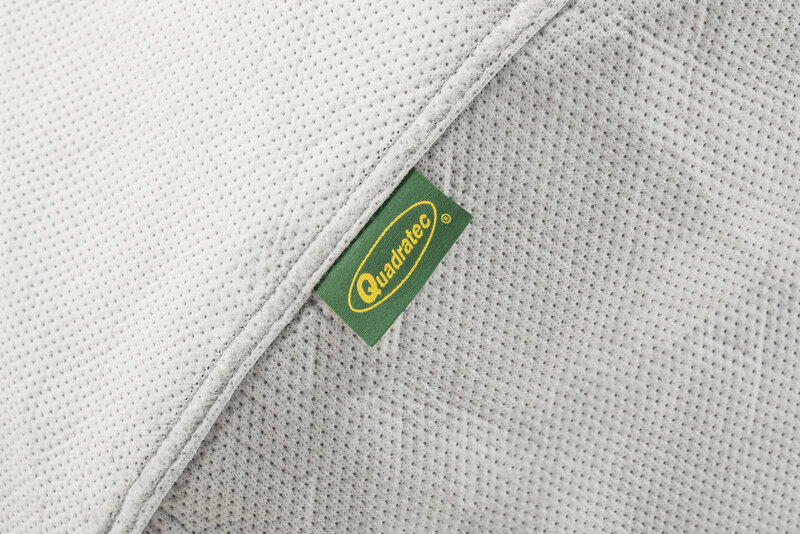 The ultra-soft inner fleece layer is gentle on paint finishes and the plastic grommets and nylon cinch cords give added security for longer term coverage in windy conditions. Front and rear hems have elastic material for a snug fit. The custom tailored patterns and over-sized mirror pockets provide an excellent fit that’s easy to install and remove. 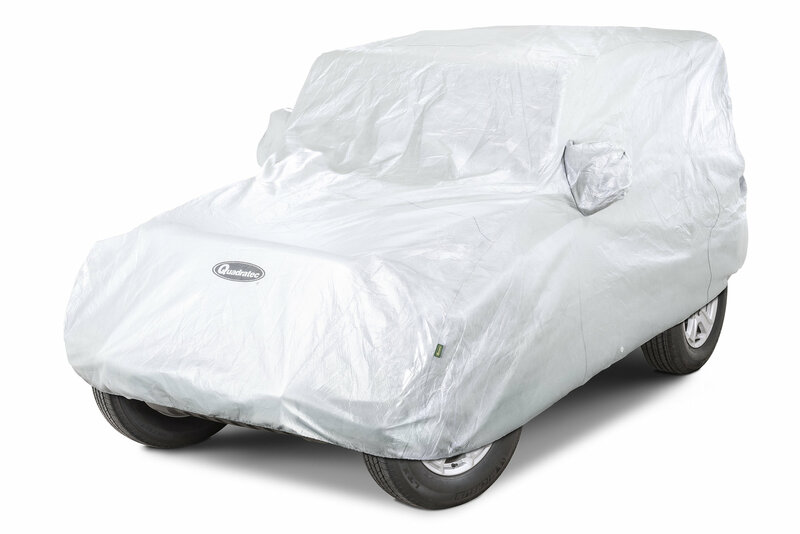 Protect your parked vehicle from mother nature, with the added protection from door dings, scratches and nicks. 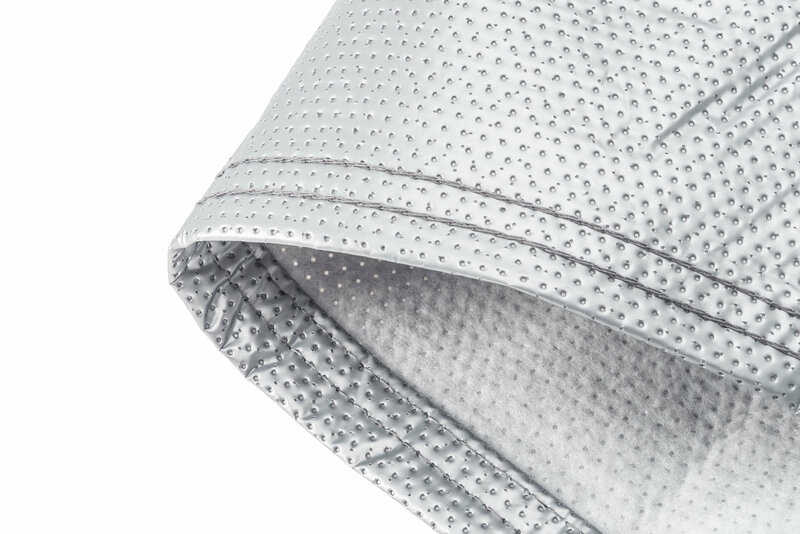 The embossed quick drying, breathable fabric wicks moisture away from the vehicle while allowing air to circulate from both sides. 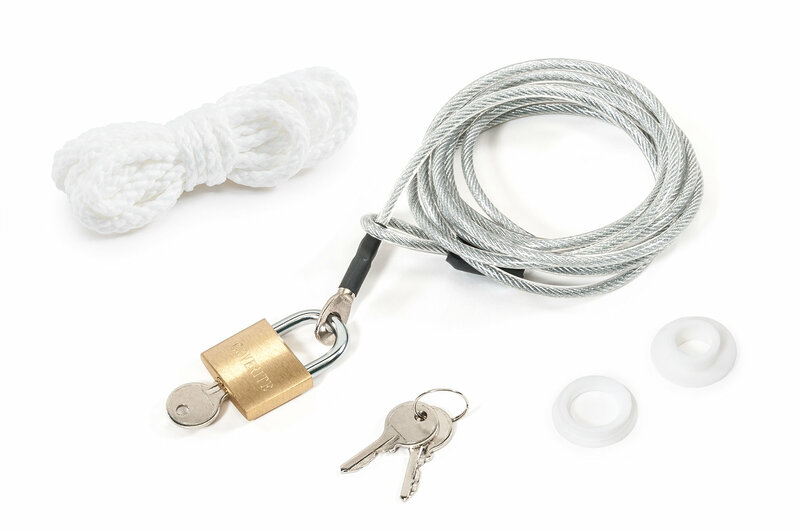 Softbond UV Silver Covers include a drawstring storage bag and a 90” vinyl coated steel cable with anti-theft brass padlock. The included grommet kit provides a do-it-yourself radio antenna provision. Three year limited warranty.